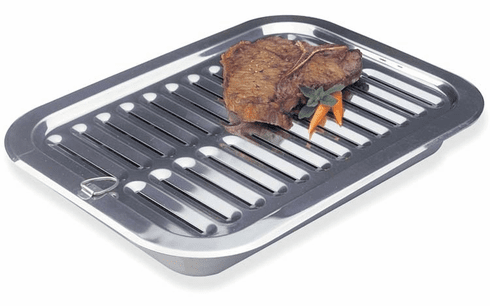 This rectangular pan with a slotted tray insert exposes the maximum area of the food to the broiler heating element. The slanted slots allow excess grease to run off into the pan. For food that's flavorfully seared outside and moistly tender inside, a broiler pan is an essential component to the cooking equation.